You may have some friends who believe that trampolines are unsafe and a dangerous form recreational activity for children, whilst other friends may feel strongly about trampolines being the perfect gift for every child. Trampolines are both safer than most people may think, and far safer than they used to be. Early trampoline safety primarily consisted of putting your trampoline in a spot that was level and as smooth as possible, preferably placed on grass. Today trampoline safety is a lot more sophisticated than that! It is still important that your trampoline is placed in a level and smooth grassy area, as this will minimise injuries and accidents. But your trampoline should also have a safety net around the frame, which will keep all jumpers from bouncing off the trampoline and falling to the ground. Safety pads are also a very important component for trampolines these days too. They are invented to cover the metal poles and springs so that if kids bounce into one another, they are protected from pain and injury. 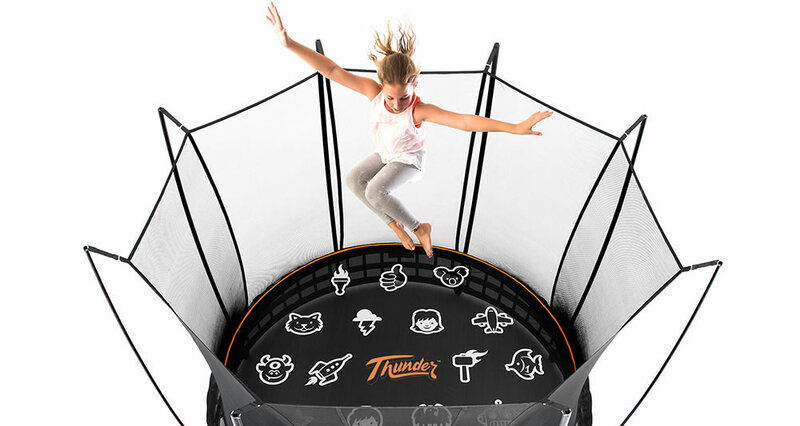 Pads make the trampoline soft and bouncy, and provide a safe surface. In saying this, children can still get hurt whilst on trampoline, but this can also happen when they're riding a bike or using their coloured pencils. There is always a possibility that kids will get hurt…doing just about anything. But as for safe play, trampolines are over-engineered for safety these days, and there is so much protective gear available that makes them one of the safest pieces of play equipment around. In conclusion, yes, there will always be the possibility of an accident happening on a trampoline, but if your trampoline is well protected and well placed, then there should be no problems at all.